Aotearoa Is Not For Sale Wellington will illustrate how the Trans Pacific Partnership Agreement (TPPA) will leave New Zealand defenceless to corporate power at noon at Midland Park today. 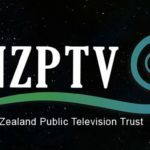 The pro-sovereignty group will hold a boxing match to illustrate the power the TPPA will grant the trans-national corporations, who are driving the global financial crisis, currently being negotiated behind closed doors in Auckland. The Trans-Pacific Partnership Agreement (TPPA), often described as NAFTA (North American Trade Agreement) on steroids, involves eleven Asian and Pacific-rim countries including the United States, with the aim to extend it to all 21 APEC countries. “Aotearoa Is Not For Sale Wellington is deeply concerned that the government intends to sign the Nation up to a binding international agreement with the same disregard to public interest as it had when it decided to sell our state assets, ” Aotearoa is Not For Sale Wellington spokesperson Ariana Paretutanganui-Tamati says. 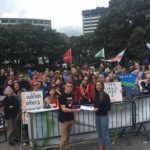 “We challenge John Key to show us the projections or assumptions of how the TPPA can actually benefit New Zealand. We strongly doubt there will be anything in this Agreement for the ordinary New Zealander. The vast majority of us stand gain nothing and lose all, including our rights and sovereignty, if John Key and the negotiators sign us up to the TPPA”. 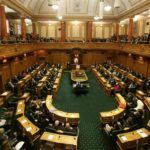 Aotearoa Is Not For Sale Wellington is particularly concerned the Investor State Dispute Settlement provision in the agreement that will allow foreign corporations that want to ‘protect’ their profits to be able to sue governments in secret international tribunals. “Aotearoa Is Not For Sale Wellington continues to call on the government to follow Australia’s lead in acting to protect its own citizens and taxpayers from the bullying of international corporations like the tobacco companies, which are currently opposing the plain packaging of cigarettes,” Ms Paretutanganui-Tamati says. TPPA : Will you make the TPPA process transparent?